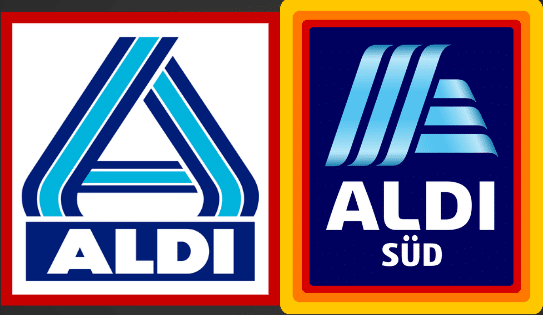 Aldi UK and Aldi Ireland both had record-breaking sales last year: the two divisions made a combined £12 billion ($15.6 billion in US dollars) in revenue. Aldi in those countries has decided to reward workers by giving them a wage increase across the board. Better, still, the wage increases put Aldi’s pay above what is known as the “living wage,” or a wage necessary to meet basic needs. In the UK, hourly wages are going up, from £8.85 to £9.10, and in London, wages are going up from £10.20 to £10.55. That means a full-time UK worker could see his or pay go up as much as £2,724 a year (or about $3,500 US dollars). According to the Sun, Aldi will become the second-highest paying supermarket in the UK just behind Sainsbury’s £9.10 an hour, although that is offset by the fact that Sainsbury’s doesn’t pay people who are on break, while Aldi does. In Ireland, hourly pay will increase to €11.90, which will make it the highest-paying grocer in Ireland. On top of that, Aldi continues to hire 500 more workers in Ireland this year, and UK employees in Aldi’s pension system will see an increase in money that goes into that system. Aldi is installing solar PV on 30 of its stores and one distribution center in Australia. Solar Photovoltaic (PV) is a technology that converts sunlight into direct current electricity and uses large panels. Aldi’s solar installations should generate more than 6.3 GWh of clean energy every year. The Aldi properties in New South Wales and Queenland are going to be equipped and maintained by Photon Energy Engineering Australia, a subsidiary of Dutch solar company Photon Energy. This is part of Aldi’s ongoing work with solar energy in Australia. The company already has 1 MW of rooftop solar at a distribution center in Brendale, Queensland, and 2.3 MW in Prestons, New South Wales. A woman in Muncie, Ind., filed a lawsuit against Aldi last week over a 2017 incident in which she was accused of shoplifting. The woman said she was paying with cash for bread, cheese, and potato chips at an Aldi store in Muncie when an employee walked up to her and asked if she was going to pay “for the other items in (her) purse.” The woman said she then emptied her purse, and it did not have any merchandise from Aldi in it. Aldi has not yet responded to the lawsuit.